Integrate with all your apps and systems. 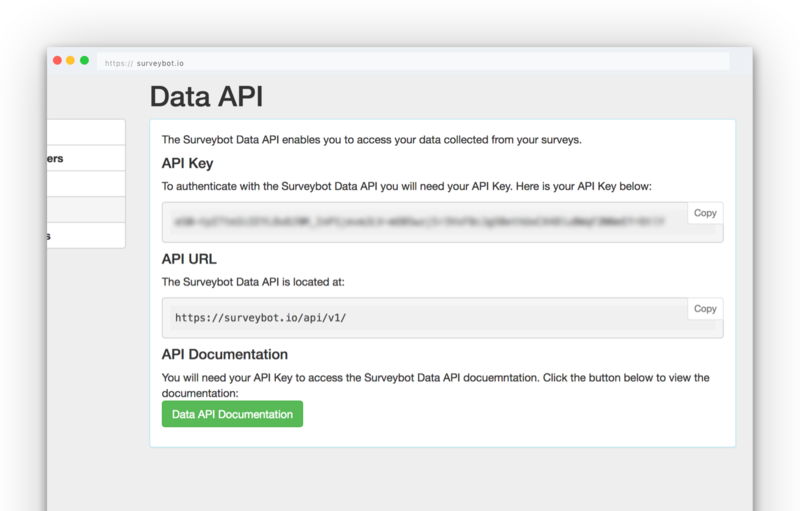 Access your survey responses via the data API. All survey responses include the full details of the employee's profile. 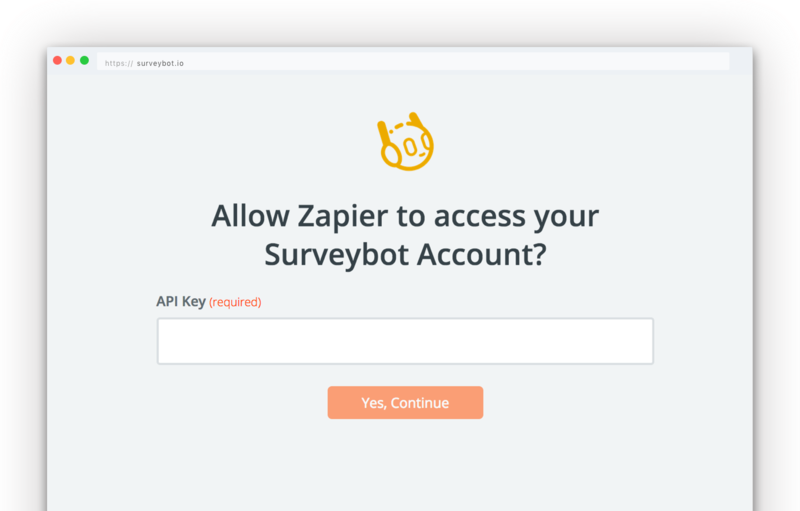 The Surveybot Data API is secured by token authentication and a secure SSL connection. 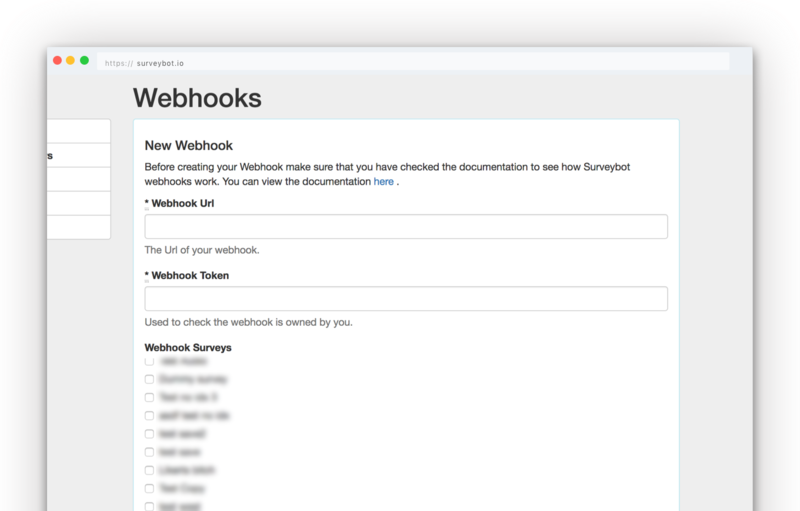 Webhooks enable you to send survey responses to your systems in real time. Choose the surveys you wan to send data to a webhook. Surveybot only supports webhooks secured by a secure SSL connection. Seamlessly connect your Surveybot responses with Tableau. Use your Surveybot data alongside your other data sources in Tableau. 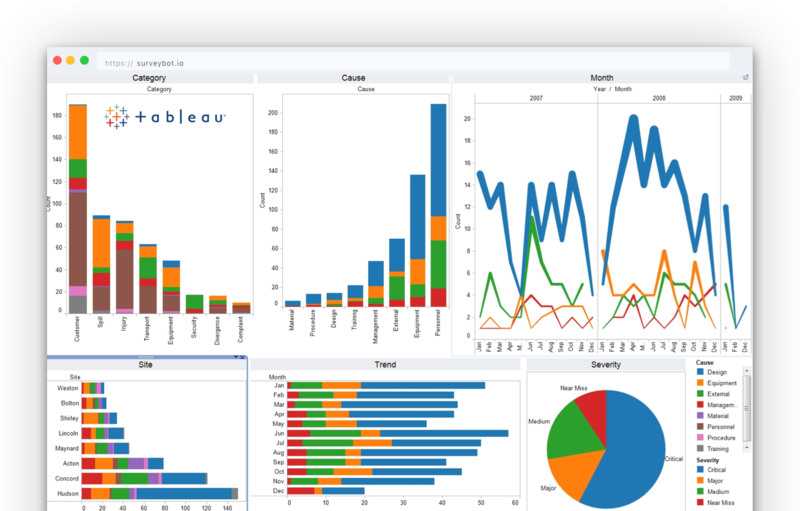 Utilize Tableau's powerful calculation and visualization tools.